This article is about what the four most important tools of internet marketing are. While it’s true what people say that “you only need a computer with an internet connection” you will need certain tools if you are serious about making money online and build your business. Even though you are not a tech savvy person you will need to become a bit technical up to a certain level. It’s quite possible to achieve some success in internet marketing with out having your very own hosting but I highly recommend getting one and especially in connection with getting your own blog going. Having a blog that generates revenue is often the center of online businesses for many people as they funnel people to it and then sell them stuff on the blog. The blog is often the glue that binds the business together. Having your own hosting opens up so many possibilities for you when it comes to creating webpages and your own domains. The thing is that it builds up way more confidence in people if they see that you have your own www.yourname.com instead of something like www.yourname.blogspot.com. Using somekind of free service indicates that you are not willing to spend money on your business and hence not taking it seriously. And if you do not take yourself seriously than you can not expect other to do it. So get a hosting going. I personally have used a service called Bluehost which I had a good experience with. There is also Hostgator, GoDaddy, Dreamhost, Siteground and many more. I myself am personally using something called 1984 which provides excellent service and I have been with the last 5 years. Having your own web hosting allows you more control over your domains, your content and your business. Getting familiar with FTP (File Transfer Protocol) gives you more power to change things in an instant when needed, uploading content fast to your server and overall maintenance of your business.So to be in full control the only way is to have fast access to your own webspace on the internet. I already wrote a short article on “Why I Switched From GetResponse To The Aweber Autoresponder” and you might want to check it out if you are wondering what Autoresponder to go with. But describe what an Autoresponder is shortly then it’s program that sends out one or many automated sequences of emails to a large list of subscribers. You can also send out individual emails (known as broadcasts) to your subscribers. If you want to build an online business you must start doing email marketing to talk to your followers, subscribers and customers. Email is one of the most profitable things there is in internet marketing as it’s a very quick and easy way to get in touch with thousands of people that have already shown interest in your content by signing up to your email list. You can send them news and updates, free gifts, survey them or send them your offers or other people’s offers (affiliate marketing) and make money. But how to build an email list? You have to hook people in with a “bribe” like a free gift that could be in the form of a PDF report, Short video training or an Ebook. That way the visitors might give you his email to be able to get the gift. That’s were an email autoresponder come into place. As soon as people sign up an automated sequence starts sending out pre-defined follow ups of email that can be sent for days, weeks or even years. This can be set on complete automation and that is the beauty of email marketing. There are a number of autoresponders out there but the ones that are the most respected are the ones like GetResponse and Aweber. I had been using GetResponse for about 18 months until I made the switch to Aweber which is considered the industry’s leading autoresponder in terms of open rates and reliability and so far I’m very happy with the switch. There are of course others like Mailchimp. 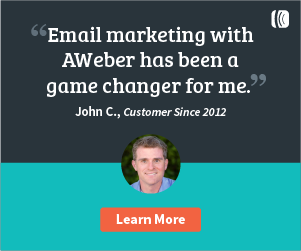 iContact, ConstantContact and more but I recommend Aweber. Online businesses and internet marketers rely on customers coming to a webpage and optin in (subscribe) for free stuff or to buy something. Webpages are like what a storefront is to a local business. To collect leads (buyer prospects) or to sell you content online you need to generate sales pages and optin pages (some time called squeeze pages). But not everyone familiar with coding HTML and that’s why there are awesome drag and drop builders out there for people looking for fast and easy solutions. When I started my online business my first choice was a program called OptimizePress that lets you create high converting landing pages, sales pages and membership portals with a simple drag and drop system. No coding skills are required. It’s also ideal for running full blown authority blog. It’s packed with features and lets you build and edit your pages in real-time with LiveEditor System. You can choose from over 40 templates, and let’s you easiliy create headlines, order boxes, testimonial Blocks, progress bars, countdown timers, video & audio Players and much more Even though I learned myself to code and do my own custom pages with Bootstrap nowadays I still use OptimizePress for membership pages for example. And of course it intergrates fully with WordPress. Then there is LeadPages. They claim to be “The #1 Landing Page Builder”. Leadpages specialises n landing pages and collecting..you guessed it…leads. I haven’t tried them out personally but I see a lot of marketers use this service as they seem to provide excellent features. Their templates are gorgeous and they really seem do know their business when it comes to whipping out some high-converting optin pages. They also have a drag and drop building system and integrate seamlessly with WordPress, Aweber, GetResponse, MailChimp and other services. Even though I use my own custom-coded webpages I’m seriously thinking about trying out LeadPages because I their reputation is very good and their graphics and templates are just so professional looking. But be aware that their prices are maybe a little steep especially if you are just starting out and don’t want to loose yourself in spending.. There are more page builders out there but these are the ones that I recommend. Conclusion. Get a blog going and start with WordPress on your own domain. They have many good templates to choose from that are free. If you want to move up to the next level you can decide to go with more marketing-specific software like OptimizePress or LeadPages that is going to make things a little big easier for you to do things that are more related to you internet marketing skills. Most successful internet marketers use tracking software to see what is working and what is not. It’s essential if you are let’s say buying ads and targeting a specific group of people. You don’t want to be spending you money on something that doesn’t work. With tracking software you can easily test out things like split-testing A webpage versus B webpage to see which one converts better. Without tracking software you are shooting in the dark and it’s the most commomn cause people burn through their ad funds without any results. Testing is one of the keys to success online as you only want to spend your money on things that are working and eliminate things that are not. I’m using something that is called Prosper202 and it’s an open-source platform you can install on your webserver for free. It has a bit of a learning curve but when it’s up and rolling it’s wonderful. I have also used ClickMagick that internet marketers are using but I didn’t like that much but that’s just my personal taste in user interface. Then there is something called LinkTrack and ClickMeter. There are more but those ones are reliable and established. What you choose is just a matter of trying and testing to see what you like. I’m quite happy with Prosper202 and it works nicely. When you have gotten these tools in place you are pretty well geared up for online success. Now you just have to get subscribers and customers.